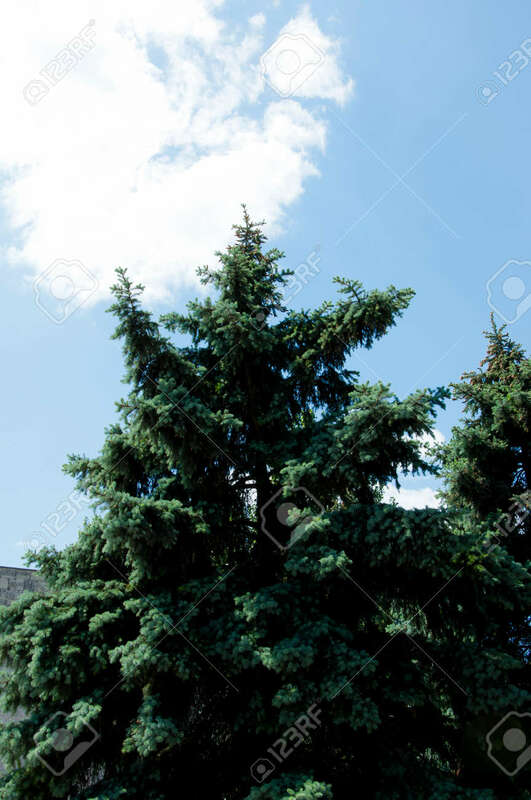 Fir Tree On Blue Sunny Sky Background. Ecology. Summer Or Winter Stock Photo, Picture And Royalty Free Image. Image 103285896.